I know you’ve been considering it for the last several seasons, so allow me to assure you: Yes, you are ready to start betting on NFL football games. And really, why wouldn’t you be? It’s fun, it’s easy, and it doesn’t take a lot of cash to get started building your bankroll. All you’ve got to do is find a good sportsbook, drop a couple bucks in your account, and start betting on NFL contests. Of course, some folks will be concerned about the legality of betting on the NFL, and that’s fair. There’s a lot of confusion out there when it comes to sports betting in general. But believe it or not, sports betting is largely legal in the United States, provided you adhere to a few basic rules and keep your private business private. So do your research, make a game plan, and pick some winners! Is Betting On NFL Football Legal? Instead, all these laws have done is force sportsbooks to move overseas, where they can operate freely outside of any US legal jurisdiction. Thus, not only is betting on NFL football legal, it’s become one of the single biggest industries in the United States, all completely under the radar. Kind of like the 2007 New York Giants. Can I Be Arrested For Betting On The NFL? In Nevada, no. Everywhere else, yes. In theory, at least. Let’s just say that you’d have to try really, really hard to make the authorities care (and even then, they probably wouldn’t). The plain truth is that you are extremely unlikely to be arrested for simply betting on the NFL. In fact, there’s no legal precedent for such an occurrence. Yes, lots of people have been busted for illegal gambling and the like, but folks popped for sports betting are always charged with broader, more serious crimes like insurance fraud, money laundering, and tax evasion. If you stick to legal online sportsbooks like Bovada, BetOnline, SportsBetting, and 5Dimes, you won’t be hassled or harassed for betting on NFL football. Just claim your appropriate income, pay your taxes, and rest easy. And if you’re still worried about it, consider using a secure, anonymous cryptocurrency like Bitcoin or Litecoin to fund your sports betting activities. How Much Money Is Bet On The NFL? The NFL is, without question, the lord of the manor when it comes to US sports betting, and the amount of money that people bet on the league each week is staggering. 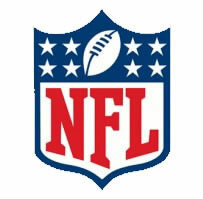 Many estimates have the NFL being directly responsible for better than a quarter of the national sports betting scene. Since that sports betting scene is worth roughly $500 billion annually, it isn’t a stretch to reckon that the NFL accounts for $100 billion to $150 billion per year. Globally, more money is likely bet on soccer and cricket on aggregate, but nothing touches the NFL for sports betting on a per-game basis. If the NFL is among the biggest draws for sports bettors during the regular season, the Super Bowl must be the biggest gambling event on earth. And it is! Steadily climbing by about $500 million each year, legal Super Bowl betting on the NFL championship has recently eclipsed the $6 billion mark for money moved in a single game. Better yet, there are no signs that this hunger to wager on football – particularly championship football – is going away anytime soon. Where Can I Bet On NFL Games? In America, you can only bet on sports if you’re in Las Vegas, although with the PASPA repeal, you’ll probably be able to bet on sports within your own state sometime before the 2019 NFL season kicks off. Besides that, the Internet has offered a workaround, allowing everyone in America – regardless of geographic location – to bet on whatever sports they wish. With the proliferation of legal online sportsbooks, the American public is more active in sports betting circles than ever before. Indeed, the core concepts surrounding sports gambling are getting less and less taboo in society, with March Madness brackets and Daily Fantasy Sports leagues looming large in the public consciousness. So sign up at one of the following sites for free, pick a bonus, deposit a few bucks, and get betting. It’s legal, fun, and potentially quite lucrative. There are dozens (if not hundreds) of online sportsbooks for legal USA gambling out there that offer NFL action, but almost all of them are unreliable and untrustworthy. If you’re going to spend your hard-earned money betting on NFL football, you’ll want to go with a tried-and-true provider with a solid reputation and secure backend. Luckily, there are several to choose from. Bovada, the industry leader, has a pedigree harkening back to the early days of the online poker and sports betting booms, and the company has never missed a single payout. BetOnline and SportsBetting are old stalwarts, too, anchoring the industry with their fair odds and slick user interfaces. Last but not least, 5Dimes is a real outlier. Though smaller in scope and reach than its competitors, 5Dimes sets itself apart via unique props and a wide array of alternative lines for most NFL contests. But regardless of which site or sites you choose to sign up with, you’ll have an absolutely jam-packed NFL betting menu every day of the football season. There are many ways to bet on NFL football, and all the best sportsbooks offer the same general types of wagers. The most common NFL betting type is the spread, followed by the straight bet and the over/under bet. For a little added variety, bettors can place proposition (“prop”) bets and futures bets, too. The above illustrates the point spread. Here, the Saints have a nine-point “head start,” so a wager on the Packers to win means that the cheeseheads must win by a minimum of 10 points, or the bet is lost. Conversely, a bet on the Saints to “beat the spread” means they can lose by up to eight points and still pay out. Should Green Bay only win by nine points, the bet would result in a “push.” Usually, this means that the sportsbook will refund the bets on both sides, but different books may have different push rules. Sometimes, bettors don’t want to worry about handicapping sides, they just want to pick a winner. That’s where the straight bet comes in. Here, you just pick a team to win. A $100 bet on the Saints would win you $225 (not including the original wager), while a $180 bet on the Packers would yield $100. The moneyline (in parentheses) simply denotes the ratio of wager to winnings for a given team in a given matchup. Whenever a contest seems too close to call, NFL bettors can fall back on the over/under bet (a.k.a. the “totals” bet). Here, your sportsbook will simply provide a combined point total for a given matchup, and you select whether you think the final scores will add up to be more or less than that total. Let’s say you bet the over, and New Orleans beats the Packers 41-27. You didn’t expect the upset, but the winning and losing teams don’t matter in over/under betting. Here, the final scores add up to 68, which easily clears the 60.5-point threshold. The over bet wins. The previously listed items are undoubtedly the main avenues for betting on NFL games, but for gamblers who want more variety, there are props and futures bets to consider. These bets are not based on winners and losers; instead, they are more focused on individual and team events within a given contest or season. As an example, you might make a prop bet for the Saints vs. Packers game that Aaron Rodgers will throw for at least 400 yards. Props can also extend to whole seasons, at which point they’re more commonly called futures. A particularly common NFL futures bet requires gamblers to pick the upcoming Super Bowl winner before the season even starts. With the advent of the mobile Internet (and smartphones and tablets good enough to actually make the experience convenient), live betting on the NFL has really taken off. Utilizing real-time betting systems, legal online sportsbooks are able to offer in-game bets on every NFL contest. With this kind of betting, you can place extremely short-term props, like a wager that the next play will be a pass instead of a run, or that the current drive will result in a field goal rather than a punt, touchdown, or turnover. Because of how quick these live props can go by, however, betting on NFL games this way requires a lot more attention than most other types. Live betting is a great way for NFL bettors to experience the tension of the game’s flow in a way that passively watching it cannot hope to convey. What NFL Teams Should I Bet On? That’s up to you. Look, there are several different paths to choose when it comes to setting up your strategy for betting on NFL football, and it’ll take a little time to find some system that works for you. One basic piece of advice, however, is this: Do not bet on your favorite team’s games. In order to ensure that you bet with your head and not with your heart, it’s important to get your emotions out of your analyses. Another simple tip is to only deal with known quantities. It is for this reason, for example, that I personally don’t bet on Week 1 games, significant injury returns, or playoff games. One must always be wary of “any given Sunday,” after all. Or just bet on the Patriots. Whatever.